If you are passionate about leathercraft you have come to the right place. It doesn’t matter whether you are a designer, a leather artist or a beginner in leatherworking. You will find here everything you need to create your leather goods. The tools we sell here will help in making briefcases, bags, wallets, straps, footwear and other handcrafted leather things. Craftntools has been selling since 2008. 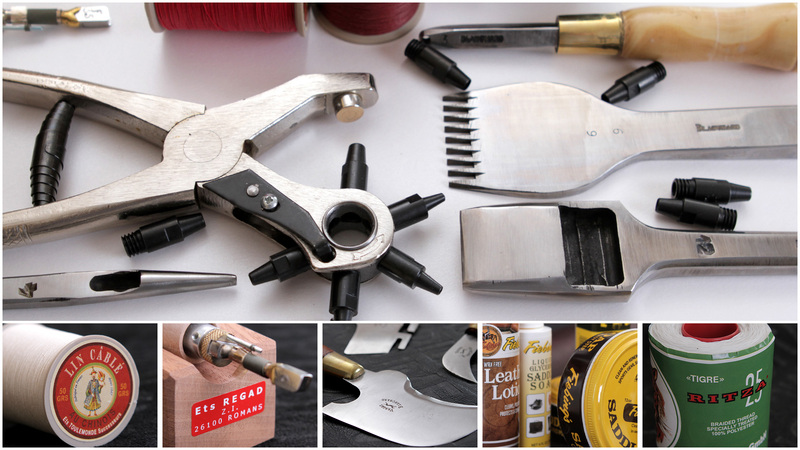 We provide original high-quality leatherworking tools, materials and accessories. The main rule of our company is to work with well-known, reliable and time-tested manufacturers which guarantee the quality of production. We have been working with the finest names such as: SAS Vergez Blanchard, Fiebing Company Inc., Ets P.Regad & Fils, Julius Koch GmbH, Entaco Limited (JJ needles) and others. Craftntools company offers reasonable prices, worldwide shipping, secure online ordering, service to professional leather workers, artisans and hobbyists. We guarantee return and exchange of goods with money back.We wish you to find here the tools you are looking for and hope to become the source of inspiration in creating your leather masterpieces.